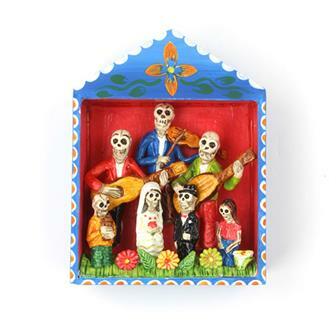 A varied collection of crafts and gifts originating from a number of global traditions. 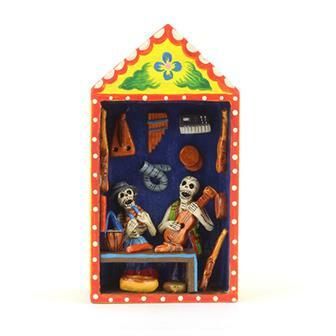 Mexican cartonería, Peruvian retablos, Balinese masks and Guatemalan worry people; a huge amount of folklore is represented here. We also have mythologies from our own fair isle with a selection of Green Man carvings. 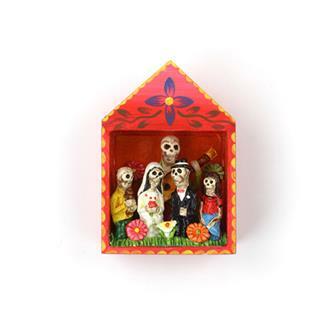 Colourful painted boxes containing five or six worry dolls each to tell your worries to. Supplied with header as shown. 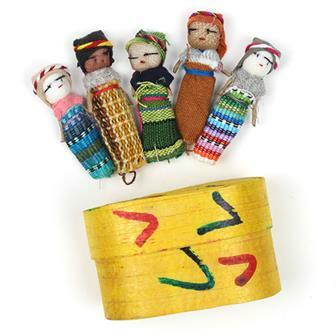 These larger style worry dolls are perfect for helping with those more troublesome worries! 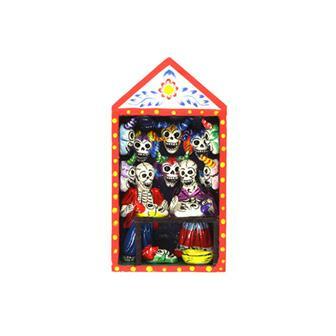 Each selection of large worry dolls come in a charmingly decorated box. 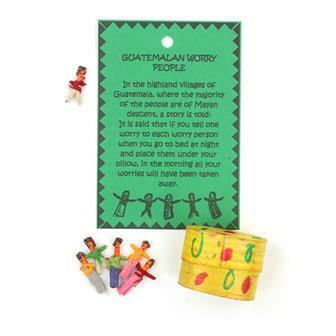 These larger style worry dolls are perfect for helping with those more troublesome worries! 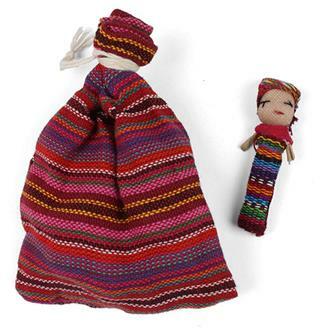 Each selection of large worry dolls comes in their own pretty little bag. 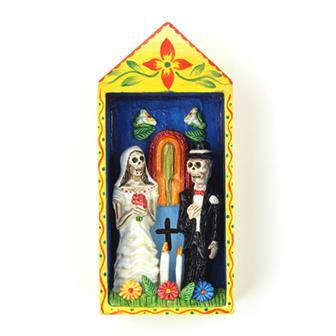 These authentic papier mache sculptures are a traditional, handmade Mexican craft that has been passed down for many years. 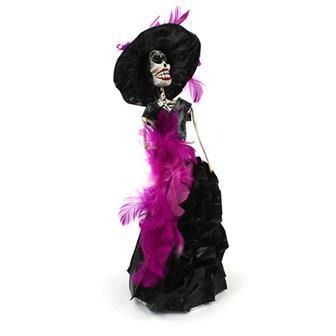 This figure depicts 'La Calavera Catrina,' a very popular image in Mexico. 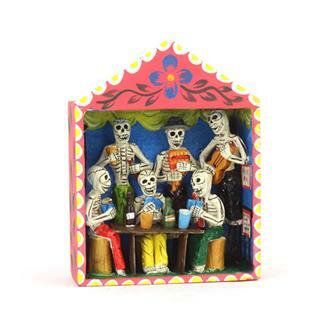 Each figure is carefully handmade and decorated and bears the name of the artist on the base. 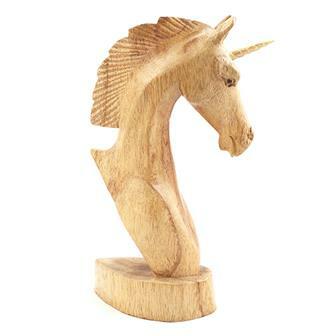 This incredibly intricate little wooden piece has been hand carved into the form of a Unicorn. 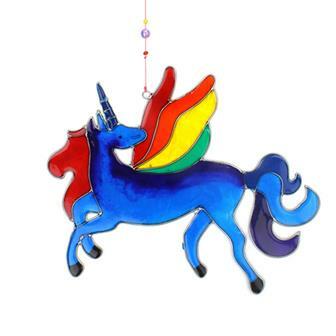 Carved onto a light wood, the Unicorn is a universal symbol for purity and grace. 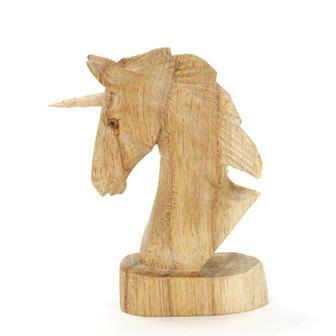 This incredibly intricate little wooden piece has been hand carved into the form of a unicorn. 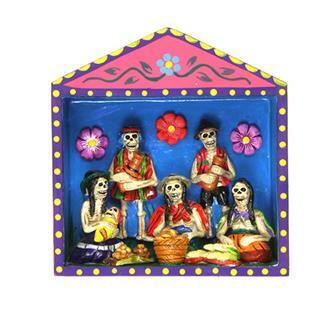 Each figure is hand carved in Bali, Indonesia from white wood. 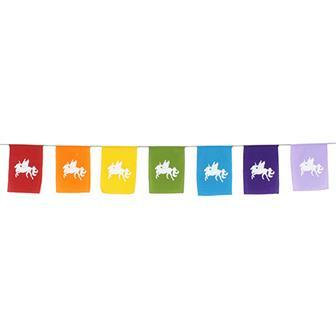 Vibrant rainbow rayon flags on sturdy nylon string screen printed with a fantastic unicorn design, perfect to add some sparkle magic to a party. Long triple hooped dream catcher wrapped in faux suede and threaded with silver coloured beads, hung with natural feathers and pipe 'bone' beads. Each hoop is on a hung on a single thread of nylon allowing the hoops to swing independently in the breeze. 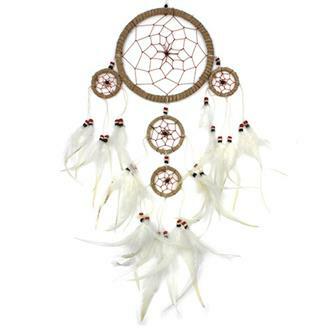 Dream catchers were used as a protective charm especially for children to protect against nightmares. This smaller size dreamcatcher is made with tightly wrapped twine and white feathers, complete with rustic beads and a mini info card. 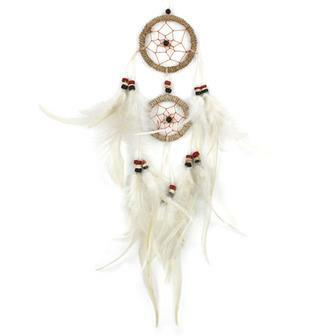 Dreamcatchers were used as a protective charm especially for children to protect against nightmares. 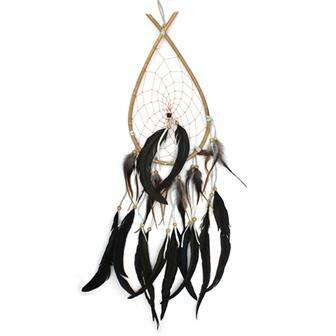 Elegantly shaped tear dreamcatcher with bold, black feathers and a loop for hanging. 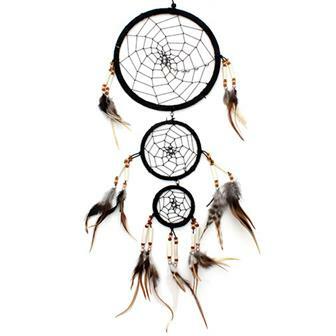 Dreamcatchers are traditionally believed to provide protection, particularly for children, against bad dreams.